All bets are out the window when it comes to all-male performances in collegiate a cappella. In many of these instances, you'll find that humor abounds and be left laughing at the comedic antics on display. But in other cases, such as with today's #TBT, all-male groups are willing to push the limits and boundaries of "family friendly" shows. And we are totally okay with this. 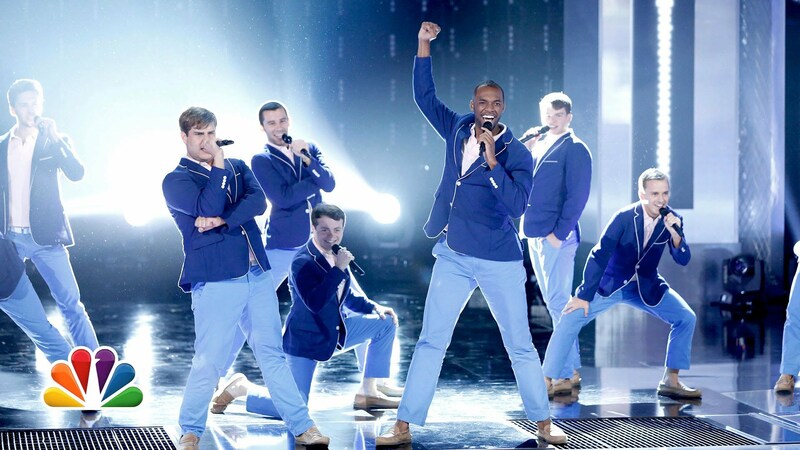 In this throwback to season 4 of The Sing-Off, the Acoustikats from the University of Kentucky give us their best interpretation of Robin Thicke as they cover his mega-hit song "Blurred Lines." Let's just say that the song is a bit risque, which the Acoustikats play up through high falsettos and suggestive dance moves. The performance ends up being exceptionally entertaining, and the arrangement itself is really good boasting a lot of musical depth. Enjoy this #TBT, which proves the point that no one does it quite like collegiate a cappella groups.